This drawing came out of a random doodle one night where I drew Mario about to bludgen a shy-guy to death with a POW Block. For some reason the idea of Mario and his pals reaking havoc in the magical dream-world of Subcon tickled me and I had to go with it. Side note: Subcon is wildly underused in the Mario games - how many times do we need to see Mario rescue the princess from Bowser in the Mushroom Kingdom - Branch out, already, Nintendo. 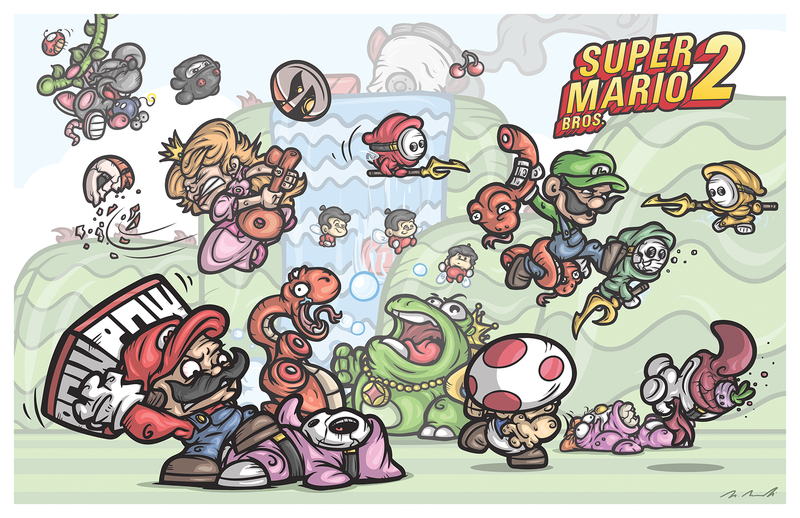 Super Mario Inception: Wart's Revenge. Get on it, Miyamoto!